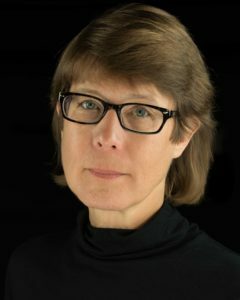 From teaching digital asset management, archiving, and cataloguing courses at UCLA and NYU, to running the nonprofit, historical preservation Audiovisual Archive Network service, Linda Tadic has always had content preservation on the mind. And when she founded Los Angeles-based Digital Bedrock in 2015, there likely wasn’t anyone more qualified to get a dedicated archival company for the media and entertainment sector off the ground. Tadic’s company future-proofs files, identifies long-term vulnerabilities, migrates assets when new storage media becomes available, validates formats, tackles metadata needs, and keeps an ever-watchful eye on potential obsolescence of formats. Tadic spoke with the Media & Entertainment Services Alliance (MESA) about today’s digital preservation challenges, the importance of metadata, and the surprising challenges companies are faced with when formats become obsolete. MESA: What was the impetus for Digital Bedrock, how did the company come about? Tadic: For decades, I’ve worked in film, video, audio archives and of course now everything is digital. Because of my involvement in the moving image archive community I saw all the pain points that organizations and individual creatives were having, especially now that they’re creating content digitally or digitizing their analogue originals to digital formats. People are drowning in the amount of storage that they’re now having to deal with. Then there’s the intensive process of media migration over time, whether the content is stored on an external hard drive, server, or on tape. I saw that a lot of people didn’t want to deal with cloud storage, primarily because of the security, but also it can be pretty expensive when you’re putting terabytes and terabytes of data up in the cloud and you have to get it out. And then of course there are obsolescence factors, which means the digital object itself — not the media that the content is sitting on — can become obsolete over time when a format or software is no longer supported. I developed Digital Bedrock to do this intensive, complex preservation work for organizations and creatives. I wanted to create a system to automate that preservation work, so the clients don’t have to do it themselves, and don’t have to buy the infrastructure. Give us the content they want preserved, and we take it from there. MESA: We all know things have changed in terms of digital preservation nowadays. The needs have changed, especially the file sizes, the sheer amount of stuff we’re trying to preserve. What do they need to account for nowadays? What do they need to work on – worry about – that they didn’t have to in just in recent years? Tadic: I would say that if anybody is doing what they would call digital preservation themselves, they’re probably doing the basic actions: simply storing their files, maybe redundantly, and maybe running fixity checks. But full preservation goes beyond those basic steps. So not just redundancy and not just making sure that their bytes are healthy. You need to know everything about how those files were created. You need to know the relationships between different files. You need to be able to run those fixity checks on a scheduled basis, not just put it somewhere and hope that you’re okay. There are also obsolescence factors. Think about productions that are shooting on digital cinema cameras, which output proprietary RAW formats. the analog film camera negative in archives is usually 35mm; you can look at it, know exactly what it is, and you know how to preserve it. The problem with digital camera original is you’re really dependent on the proprietary technology of the company that created the camera. To preserve that camera original, you need to know everything about all the characteristics of that file, much more in detail, much more in depth than you ever needed to do with analogue media, whether it was film or the audio just sitting on a shelf. You need to know how that file was created and that can be hundreds of fields of technical metadata. Some camera manufacturers are very open with their technical metadata about how the files are created and their characteristics. Others are not. So, it can be difficult to get file data, header information, and be sure that content is always kept alive, via all the metadata associated with every file. MESA: Formats come and go. And you guys make it a point to keep clients in the loop on what’s yesterday’s news. What are some examples of this? How do you plan around this? How do you plan on the formats no longer being useful? Tadic: We’ve developed something we call the Digital Object Obsolescence Database, or the DOOD, where we monitor all of the various factors and vulnerabilities that are required to keep today’s format alive. So, it’s not just the formats that become obsolete. It’s the software, the codecs, and other vulnerability factors. When a file is ingested into our system, it’s validated, checked against the DOOD for obsolescence, and then we get a score back. If something is flagged as being endangered we will notify the client and discuss options on keeping that content alive. We don’t just automatically say: “Transcode content.” We strongly recommend not doing that, because especially with media and entertainment content, you can have digital objects that are dependent on other files. We’ll notify the client and say, ‘OK, you have all of these files that you’ve given to us for preservation and they’re endangered. And this is why they’re endangered, because this factor is endangered.’ They’re made aware so they can make an informed decision before taking any action in making the decision of transcoding the file or using an emulator. In a worst-case scenario, there’s no solution except to keep the bits healthy until a solution is identified. MESA: You offer other services as well: cataloguing, consulting, file migration. Touch on some of these. What are some of the other high points for the company? Tadic: Much of our consulting work is in the area of metadata audits, largely because metadata is one of my specialized areas. I co-authored a book on metadata for broadcasting, and am on the SMPTE Core committee. I’ve performed metadata audits in the past before forming Digital Bedrock. A client will want a metadata audit likely because they want to create either a brand-new enterprise metadata schema, or map across existing internal systems. An audit involves reviewing the systems in use, and interviewing staff that create or use metadata. Deliverables are usually a new metadata schema that incorporates their existing data from existing systems, plus a report on workflow. Sometimes the schema includes a map to industry standards to ensure compliance if that’s required by the organization; sometimes it entails creating controlled vocabularies. Collection assessments are important as well. Let’s say you have files or analogue material sitting around and you want to know what you have. Our team can create an inventory, and make recommendations for appraisal and preservation triage actions. MESA: Use case examples. Obviously, we don’t want to violate any non-disclosure agreements, but is there anybody – any clients – that you’d like to share their success with working with the company? Tadic: There are companies that have created high-quality digital restorations and we’re preserving their files, their raw scans. There are other companies where they have a number of assets, and we help them curate what they have, both film and TV assets, and we’ve helped them discern what they want to preserve long-term. People with a lot of assets can become overwhelmed: “What should I preserve? How can I identify that?” We help them decide. A tool that we’ve developed helps them go through and select the files that they want to have preserved, instead of trying to preserve everything. Not everything is critical. But you need to know what is critical and preserve that. MESA: Are there services you guys would like to beef up or new areas that you’d like to get into? What’s on the horizon for you guys? Tadic: Our current markets which our software was built to support are media and entertainment; libraries, archives, and museums; and artists and creatives, like producers, photographers, and independent filmmakers. The area now that we want to next enter building off the infrastructure that we’ve already created, would be law enforcement and government agencies. Law enforcement in particular is having a lot of the same issues as media and entertainment, where they simply have a lot of quantity of digital content they need to store and securely retain for evidence purposes. 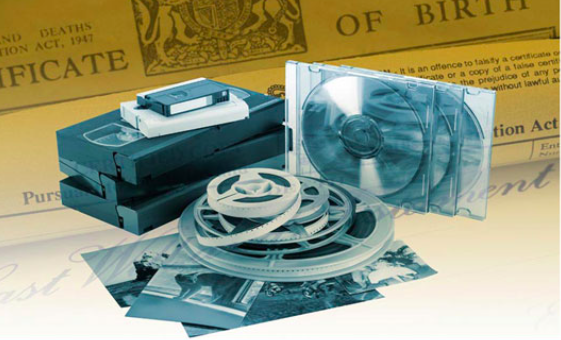 We also intend to enter personal archiving, largely because I keep being asked by prospective clients if they can use us for their personal files. We come from the world of archivists, artists, creatives, and we believe our work serves as a model for the film archives of the future, conserving assets for centuries to come.